Recently, I indulged in the magic of Vintage Martini after brunching at The Porch across the street on Henderson. I have not lived in Dallas long, and I was on the lookout for a spot to quench my love of “the hunt” for unique vintage fashion. To my surprise, I walked into a perfectly curated boutique that required no digging through piles of shoes or examining every desirable item for a hidden stain. The tidy consignment section caught my eye first. “Is this real?” I thought to myself. My favorite brands, gently used, at great prices, were hanging in front of me, organized by type and color. What did I do to deserve such royal treatment? If you, too, like treasure hunting and high-end fashion — meet your new muse: Ken Weber. Co-founder of Vintage Martini with business partner Greg Kelly, Weber built a dream for fashionistas who strive to create unique, quality wardrobes. After receiving praise from none other than Vogue, Vintage Martini today draws elite shoppers from all over the country. 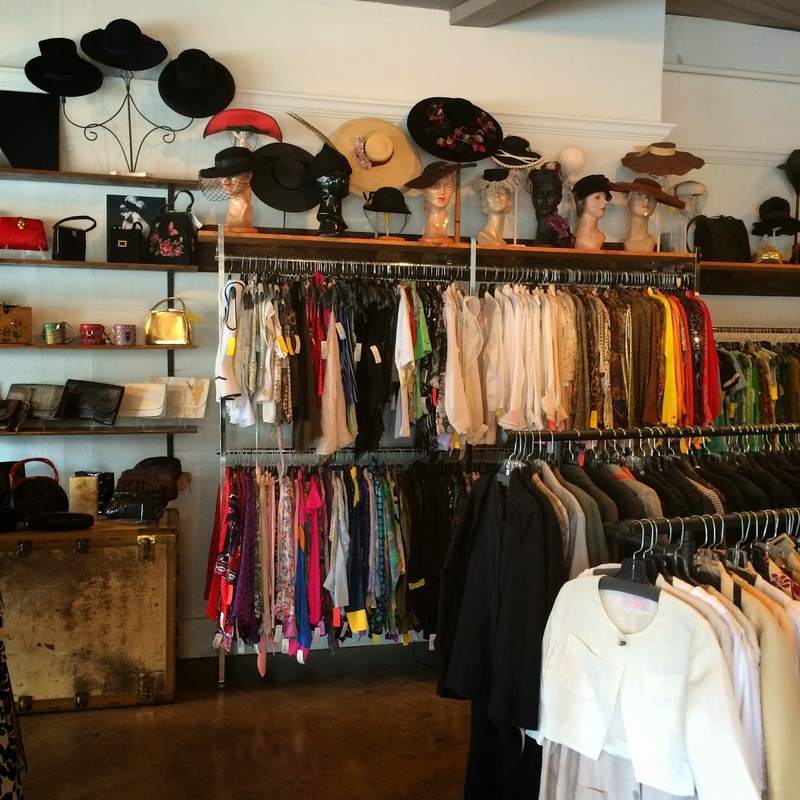 Unlike most vintage and consignment stores that take hours to sift through, Vintage Martini is organized in a polished, intentional manner by brand and decade. Weber has traveled from coast to coast, acquiring the finest vintage garments. He has mingled with fashion designers, sipped wine in the closets of socialites, dressed celebrities and appeared on reality television. This spring, he is set to appear in the first season of Real Housewives of Dallas. Totally enviable, right? But this life did not just appear on a silver platter. He has dedicated his life to his craft and love of vintage fashion. Weber planted his fashion roots during his college days at West Texas University. He studied acting but found his true calling off stage in the costume closet. He switched his major to costume design, where he discovered an even deeper love for the history of fashion. Upon graduation, he moved to Dallas and jumped into the film world as a costume designer. During this period, Weber found a warehouse to store his growing collection of vintage, which he would rent to costume designers. He built a reputation as a vintage aficionado. When the film work in Dallas slowed down, he started selling at flea markets. The momentum was really growing for Weber and his vintage addiction. He began selling at vintage shows and soon caught the attention of celebrities and fashion designers. In the mid ‘90s, Weber decided it was time to take his inventory online. After e-Bay, Weber launched his own website. Opening a brick-and-mortar store was next for the growing business. Vintage Martini first opened its doors in Carrolton, a Dallas suburb, in 2007, where it resided for six years. The recession of 2008 hit all small businesses hard the following year. What kept Vintage Martini from failing like so many others during this time? A favorable article written by the Dallas Morning News in 2008 helped as did Weber’s executive decision to sell consignment along with classic vintage. This kept Weber from spending too much on new inventory. Instead, he could acquire items for free and pay consigners a portion of the sale price when they sold. This allowed the store to continue to carry a high caliber of designer vintage clothing. Weber’s “best of both worlds” approach to retail is why Vintage Martini has continued to thrive. In 2014, the boutique moved to its current location at 2923 N. Henderson Ave. Moving the store front to the heart of Dallas was an exciting milestone. In the hot new location, Vintage Martini continues to flourish and attract loyal followers. So, what’s next for the Vintage Martini? Recently, the boutique underwent a renovation that did away with the men’s section, expanded the couture room and added more mid-level designer items. According to Weber, the new space has some great ‘70s pieces and crazy cool art. “What I’m excited about really is when you start going through the racks, every name you hit is an exciting designer,” he says.